The best-selling, classic book “Dr. 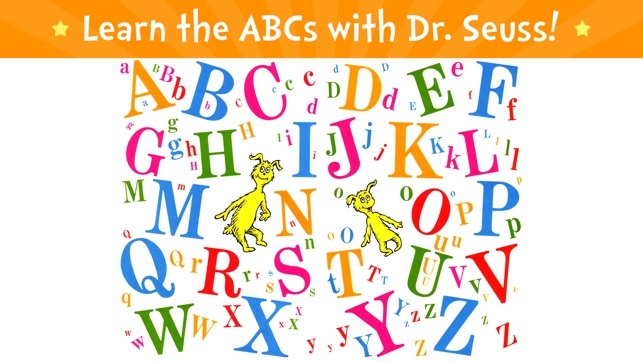 Seuss’s ABC“ comes to life with playful interactivity, delightful animations and learning activities! 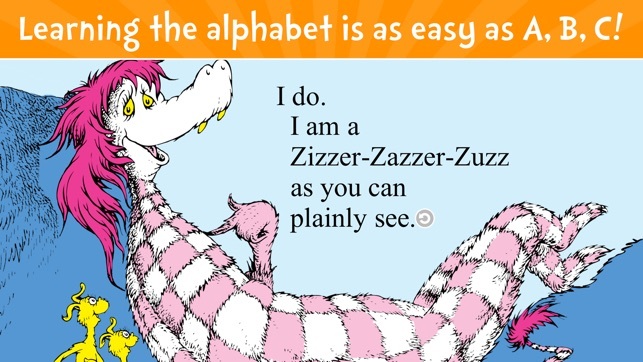 From Aunt Annie riding an Alligator to the Zizzer-Zazzer-Zuzz, learning to read is an unforgettable adventure with Dr. Seuss! 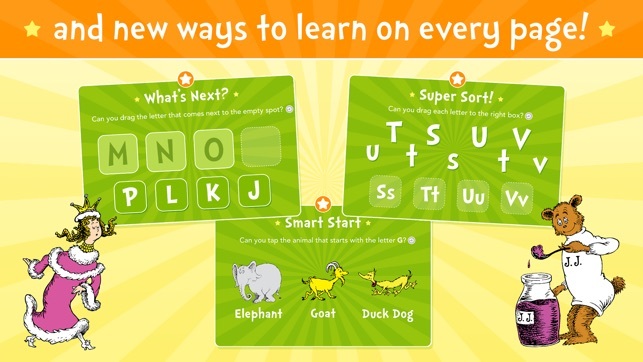 We hope this app delights, educates, and inspires your young reader! - Please share your thoughts in a review! Your feedback matters to us. Official Dr. Seuss licensed App. Dr. Seuss Properties ™ & © 2016 Dr. Seuss Enterprises, L.P. All rights reserved. 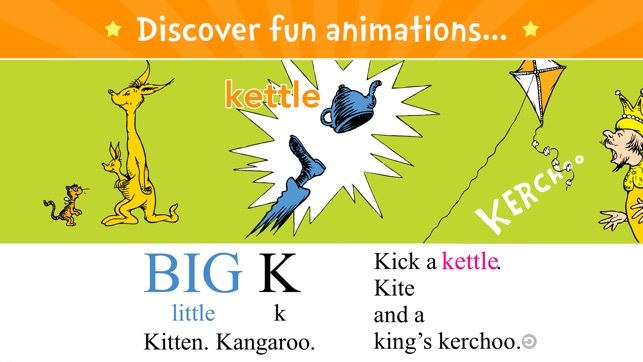 I purchased these story apps for my class! 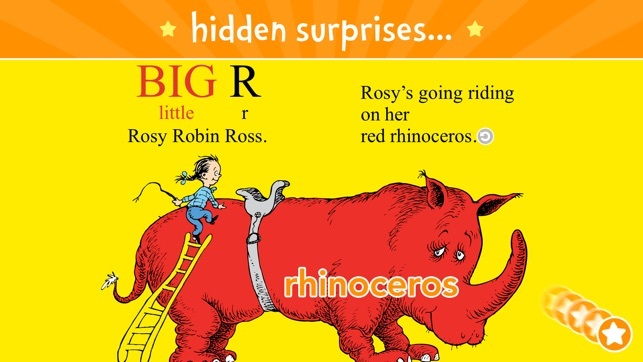 We love the Dr Seuss, Little Critter, & 5 Little Monkeys books and have many of the titles. The Read To Me, Read It Myself, Auto Play options differentiate for various students abilities. Wise investment! Love this app, it is great for learning. My grandchildren range from ages 1 - 10, and I am getting great responses from the grandchildren. Love it! My granddaughter who is 5 has been enjoying this learning game since she was 2.5!